This will be the first in a very occasional series of posts under the ‘What Is….’ banner, basically giving a brief overview of one of the books planned for the Kitbash line. 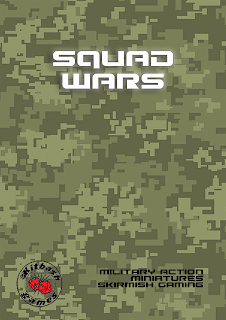 Squad Wars is a rule-set designed to play out modern military-action pulp skirmish games, with the emphasis on being fast-paced, flexible and fun, yet still allowing tactical and strategic thinking. Forces are built up with Characters, and Characters are defined by their Traits, Skills, Weapons, and Gear. Character creation is built around a few archetypes as follows: Operators (your main characters), Solo's (infiltrator/assassin types), Grunts (your standard soldier), and for really exotic gaming, Robotic Troopers (almost mindless combat automatons). 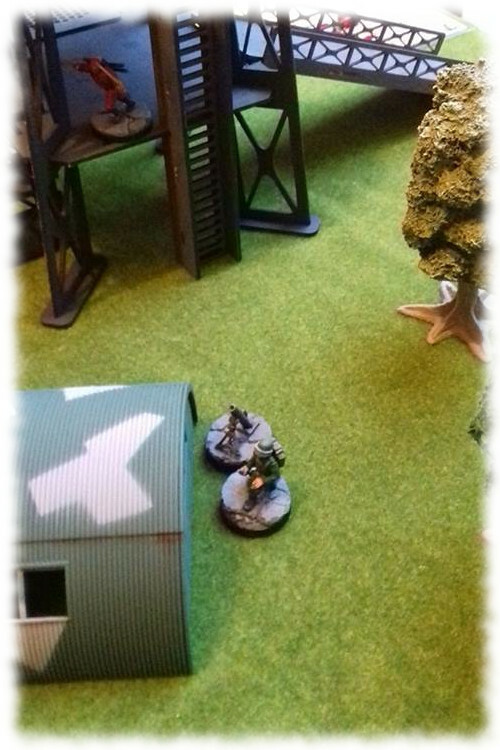 Characters be grouped in various ways, so you can form Units of Grunts (made up of basic infantry or support types carrying RPGs, LMGs or GPMGs, as well as medics, officers etc. ), who can also be led by an Operator. Operators are the headline Characters, and can form Units with other Operators, or a Unit could have a mix of Grunts and Operators. Many Operators can be created in such a way to offer Unit buffs, especially if they are the Unit Leader. Solos function independently and are typically powerful and vital assets in your Force, but you need to time their usage right as they can find themselves unsupported, think of them as your scalpel whereas Units are your hammer. 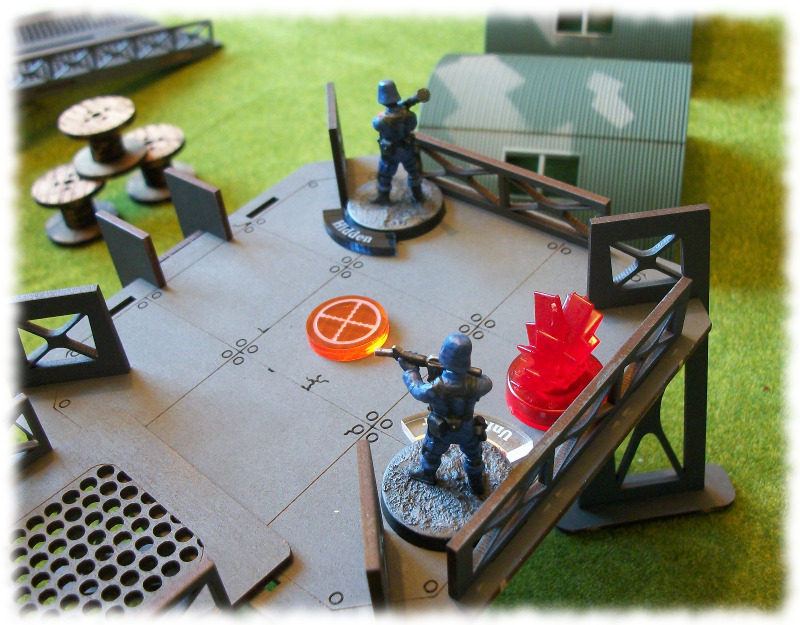 Game-play alternates between players Activating a single Unit or Character at a time, paying their Action costs from the models’ own Moxie pool (think of Moxie as Action Points). 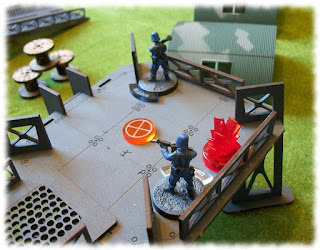 Moxie builds as the Mission progresses, and is spent to use Actions or Reactions (Reactions are usually used in response to Enemy Actions), but can also be lost as models become Suppressed. Squad Wars does not use Rounds to limit game length, instead the Mission continues until Endgame is reached, after which point players finish their final Activations and determine the winner. Each Mission has its own Endgame parameters, and players can supplement Missions with Secondary Objectives (think of these as lesser ‘side Missions’, but unlike Missions players may be playing different Secondary Objectives which are kept secret until the game has concluded). 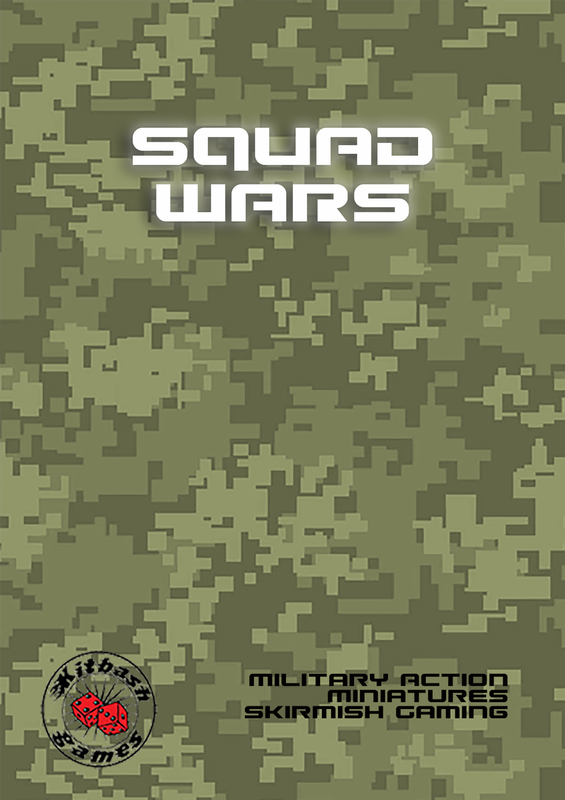 In all, Squad Wars emphasizes action and is designed to allow players to dream up all kinds of themed Forces, emulating classic military pulp action from cartoons, TV shows, movies, books, video games and comics. The core rule-book will be available in a handy A5 format as pdf and Print on Demand options, and is currently scheduled for release before the end of 2017. Images includes miniatures from the author's collection and another collection used with permission.